South Africa has an unusual challenge in our aging population. For a number of years, the HIV and AIDS pandemic left many small children without parents and in the care of their grandmothers. At a time when these Gogos’ as they are lovingly called should be enjoying rest and leisure time, they find themselves looking after another generation of children. The story has been told to me by the BrainBoosters facilitator, Anne Timms. 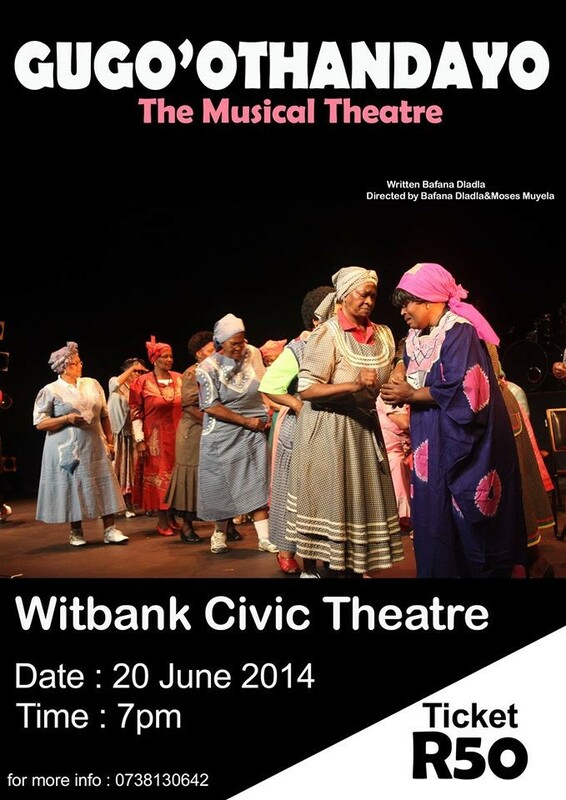 “I have met the ladies through Bafana Dladla, at the time he was the choir director for the Gogos. He was also the co-facilitator and translator when we facilitated the training. 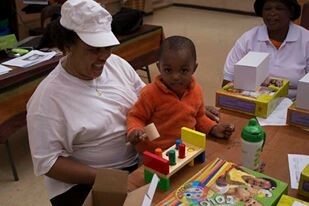 Some of the Gogos were illiterate and every session was an eye-opening and enriching learning experience for them. When we completed the programme, one of the Gogos, Lindiwe, was so inspired that she enrolled for ABET Training to learn to read and write. 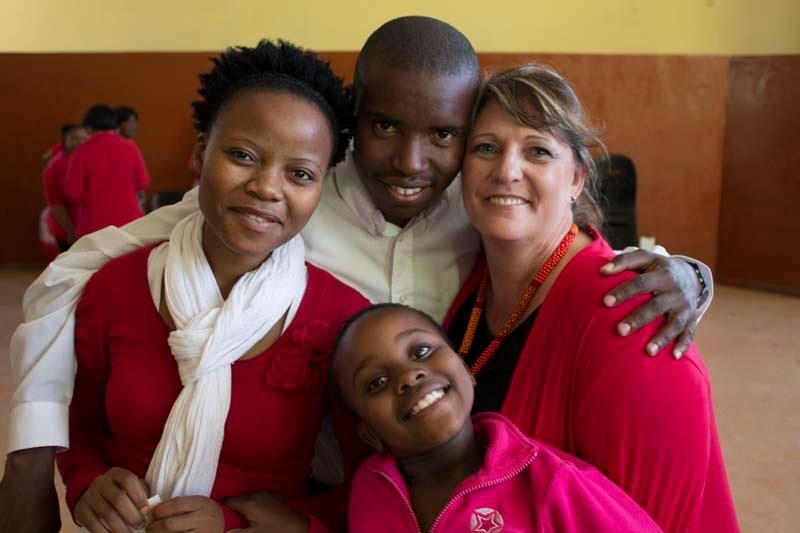 Photos attached are with Bafana and the lady of BHP Billiton and the other photo is of the Gogo’s choir. 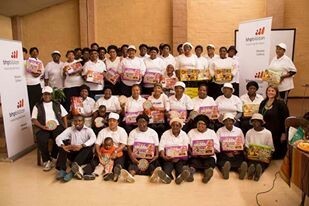 In 2012, the community of Emalahleni in Mpumalanga identified this group of Gogos who have been blessed with an amazing opportunity by BHP Billiton in partnership with Vukani Emalahleni Service Centre and BrainBoosters. 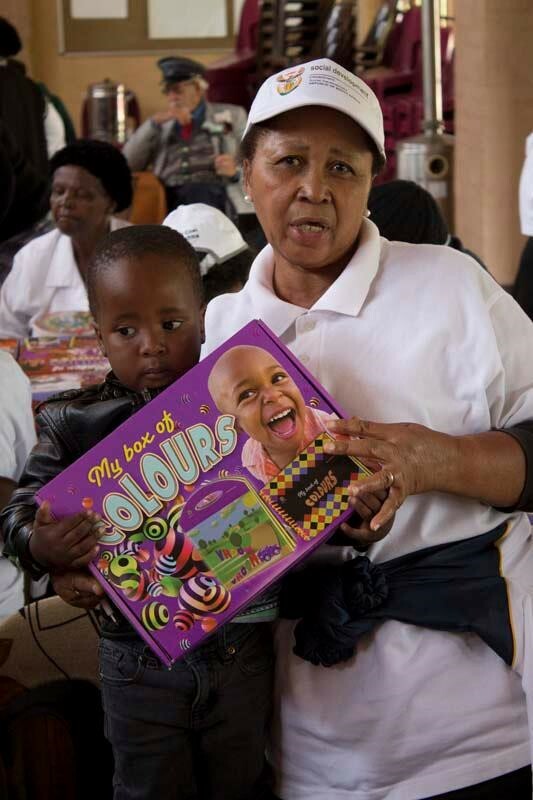 The project identified 50 members who look after 58 grandchildren under 6 for the project. 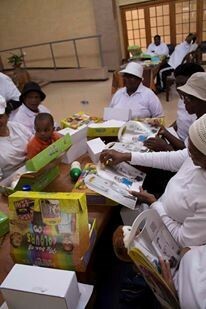 BrainBoosters have developed parenting boxes with educational resources and parenting training and these products were used each month for a period of 10 months. 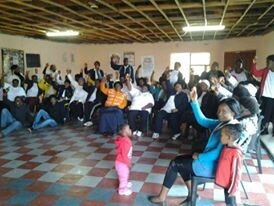 Ten parenting themes were trained and the Gogos met monthly to engage and learn. They then took the products home and worked with their grandchildren. This is a wonderful example of how we can work with challenges and creativity and produce positive change for both the older and younger generations. Education is a key driver of change and the parent/grandparent can make a significant difference to the future potential of the children.